McCarthy’s is 50 years old this year and we want to CELEBRATE! years later, still a family firm, having taken homeowners everywhere from down the same street to across the world to start new lives, and with a business which now incorporates three self storage centres, a shredding company, document management and a business centre. No wonder we’ve been so busy! A summer birthday bash – everyone needs a birthday party, even a removals and storage company. looking for nominations and ideas, and although we won’t be able to do them all, if you have someone or something you’d like to put forward, we’d love to hear from you. 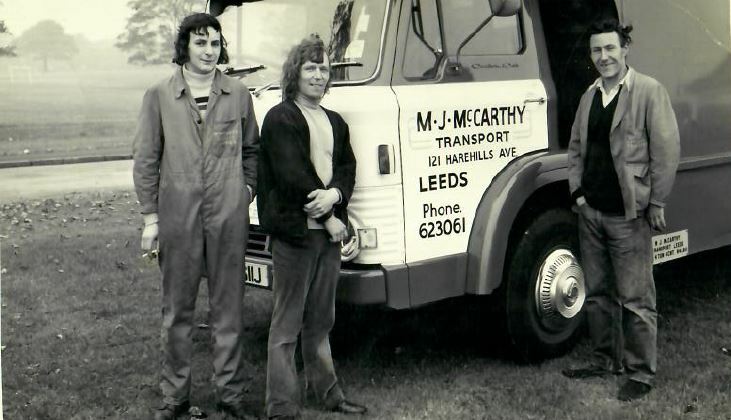 Email us at 50thbirthday@mjmccarthy.co.uk or tweet us @McCarthys_Leeds. Competitions – everyone loves a winner, and we plan on running some BIG competitions in this big birthday year, many of which will be on our social media pages. So, follow us here and here to make sure you hear about it to be in with a chance to win. We plan on making 2018 our best year yet – and we hope to involve as many people as possible! We look forward to celebrating with you… cheers!